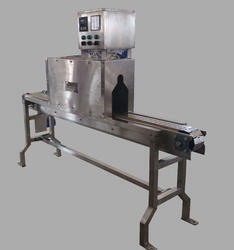 Pioneers in the industry, we offer shrink wrapping machine from India. We manufacture customised Shrink wrapping machines as per user requirement. The system shown in the Image is manufactured in SS304 for Bottle, Can sleeve wrapping.